The first known church on the site dates to the late 10th century. 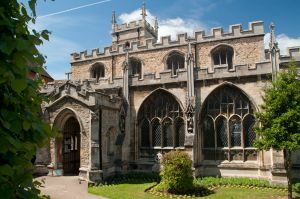 It was replaced by a Norman church, which in turn was rebuilt in the 13th century in Early English style. The tower was added in the 14th century, making it the oldest part of the current building. 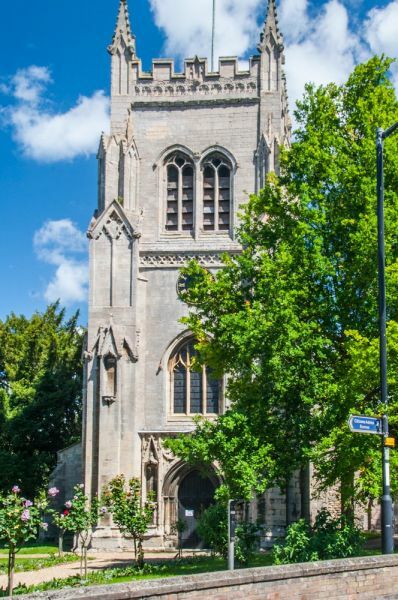 The Early English church was rebuilt in the 15th century in the Perpendicular style then popular, and work on the building finished sometime before 1499. Restoration work was carried out in the 19th century, but perhaps the finest surviving medieval feature is the original 15th-century chancel roof. In 1612 All Saints stepped onto the pages of history, albeit for only one night! King James I ordered that the body of his mother Mary, Queen of Scots, should be transferred from its resting place in Peterborough Cathedral, to a new, grand tomb in Westminster Abbey. The funeral procession reached Huntingdon on 6 October, and the catafalque (raised platform) carrying the queen's body, was set for the night upon the chancel steps of All Saints. The feature that draws most visitors to this attractive church is the simple stone font, which is to be found near the south door entrance. 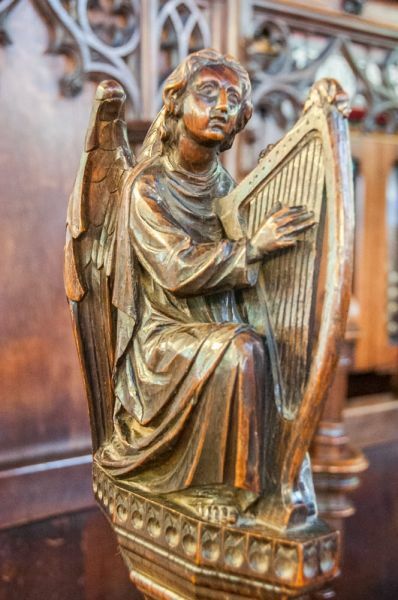 The font is not original to All Saints; it comes from the now vanished church of St John's. 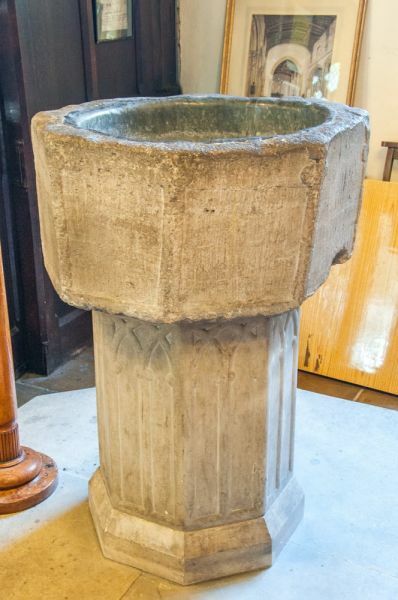 We know from historical records that Oliver Cromwell was baptised at St John's church, so it seems highly likely that this is the font used for the baptism of Huntingdon's most famous son. All Saints has in its possession the original parish registry of St John's church, where the baptism of Oliver Cromwell is recorded for the 29th April 1599. A later hand has written above the entry, "England's plague for 5 years," and yet another hand has drawn several lines through the comment. 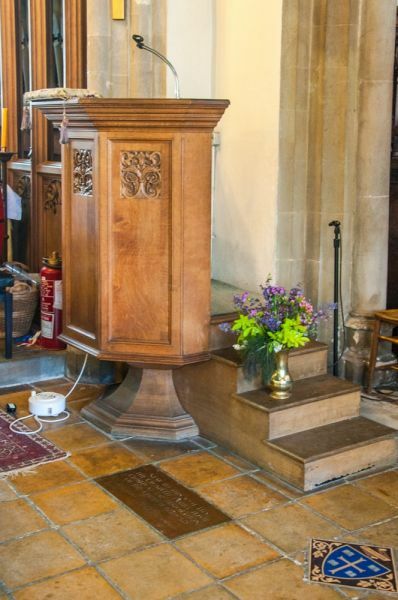 At the foot of the pulpit, near the chancel steps, is a small plaque which marks the presumed site of the Cromwell family vault. Within the vault are buried Oliver Cromwell's father Robert and grandfather Sir Henry. The vault was sealed during restoration work in 1950. 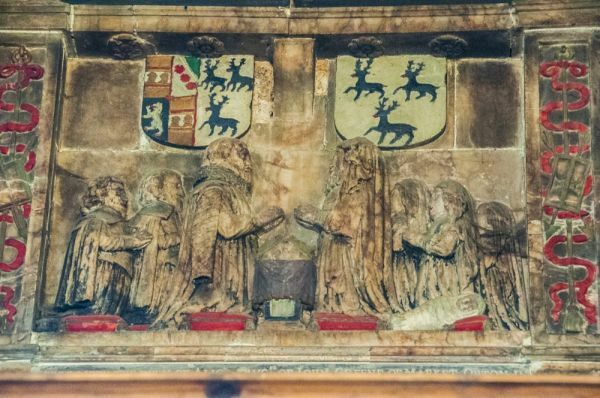 Above the south door is an attractive early 17th-century wall memorial to Alice Weaver, the wife of a London mercer, who died while travelling through Huntingdon in 1636. Location: On the Market Square, in the centre of Huntingdon. Paid parking nearby.